Learn how the USB Power Delivery Analyzer connects in-line between two Type-C products, and passively captures all communication between them, on both the CC1 and CC2 signals. 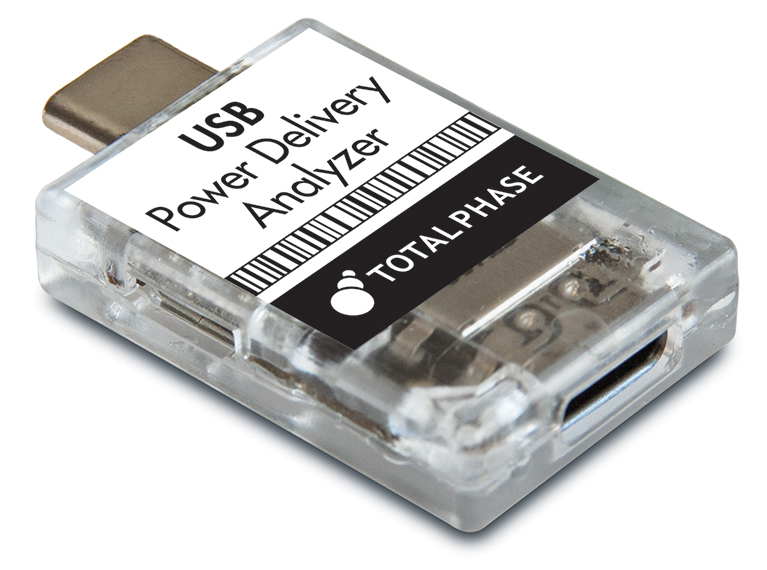 USB Power Delivery Analyzer The USB Power Delivery Analyzer is a small adapter for recording the Power Delivery protocol traffic on the USB Type-C connector. The Data Center™ Software is a free bus monitoring software that captures and displays USB, USB Type-C Power Delivery, I2C, SPI, eSPI and CAN bus data through the Beagle™, USB Power Delivery, and Promira™ platform line of hardware protocol analyzers and the Komodo™ line of CAN interfaces.